The city recently launched the WalkFirst program to lay a data-driven, participatory foundation for the effort to attain the main goal of its Pedestrian Strategy — cutting pedestrian injuries in half by 2021. 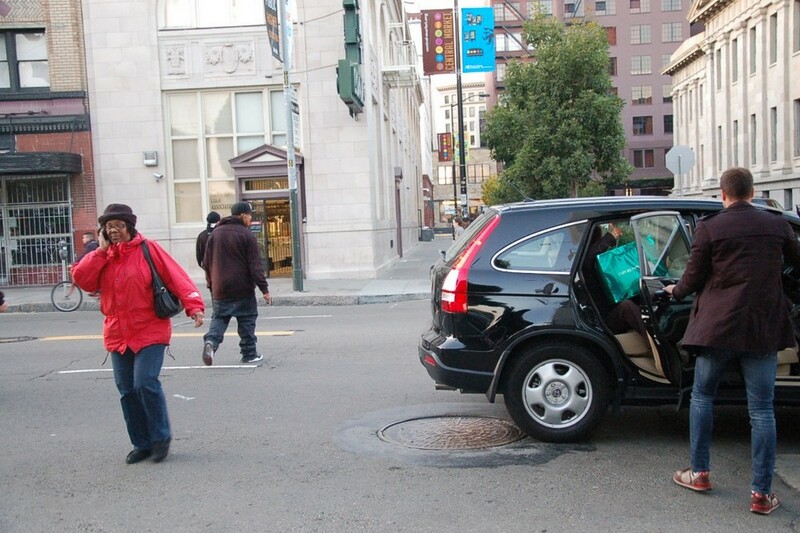 In the coming months, staff from the SFMTA, the Planning Department, the Controller’s Office, and the Department of Public Health will field public input on dangerous streets and release new data illustrating the toll of pedestrian injuries and deaths. 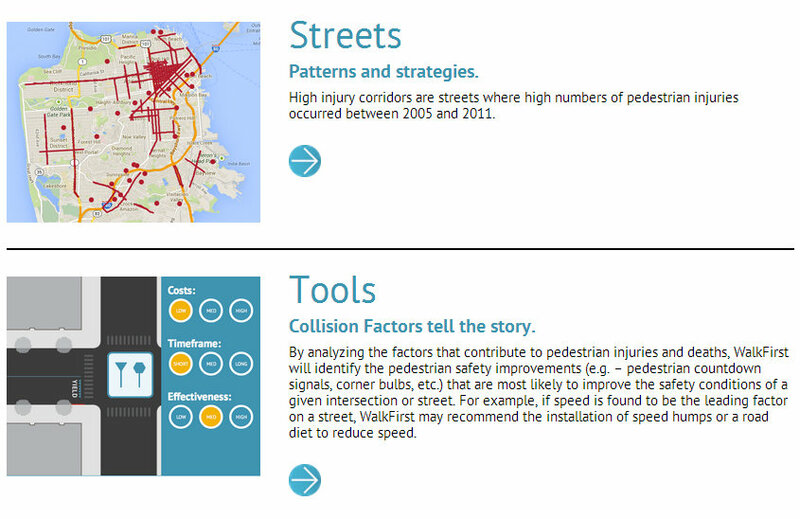 To start, the new WalkFirst website has easy-to-use, interactive tools showing where most pedestrian crashes occur, the factors that cause them, and the kit of street design tools to reduce them. An online survey also allows people to weigh in on how pedestrian safety funding should be prioritized. The feedback from the website will inform a draft plan for safety improvements scheduled to come out in January, with adoption by the SFMTA Board expected in February. The plan will guide an expected $17 million in safety improvements over the next five years. “By combining rigorous technical analysis with significant community outreach, we will target our investments in the communities that need them the most,” SFMTA Director Ed Reiskin said in a statement. City agencies are also working on a report providing a fuller picture of the economic toll of pedestrian injuries, as well as the benefits of reducing them. As we reported in 2011, DPH and the University of California, SF estimated that the costs of medical treatment, emergency services, and other impacts of ped crashes add up to about $76 million annually. The WalkFirst report is expected to expand upon the economic ripple effects of traffic violence. The WalkFirst website and ongoing public workshops are also intended to help educate the public on the actual causes of pedestrian crashes, countering the all-too-common assumption that the victim is to blame. As we saw last week, even the SF Fire Chief mistakenly told an SF Examiner reporter that pedestrians are at fault in 74 percent of crashes, when the actual number is about 33 percent. I finally participated in the survey- pretty cool tool! Everyone should check it out and submit their own prioritization. The site in general seems very well put-together. The tool… wtf is up with the effectiveness meter. There is no way to max it out EVEN IF you put every option at high priority.